These trips offer an opportunity to experience a unique event only Maine can offer! From watching crazy Lobster boat races, to viewing fireworks by boat on the 4th of July, to honing your photography skills aboard the Pamela B. These unique events will fill up fast so make sure to check this section often. L.L.Bean & Maine Audubon Society Birding Festival will present opportunities for all birders to experience beautiful coastal Freeport, Maine. This summer, Seacoast Tours of Freeport will offer (2) boat trips, one on May 25th and the second on May 26th time TBD. Come explore the birds of Casco Bay with the crew at Seacoast Tours of Freeport and an expert guide from The Maine Audubon Society. 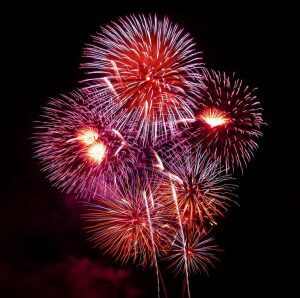 Don’t want to deal with all the traffic, crowds and hype surrounding the 4th of July, but still want to celebrate and enjoy the patriotic holiday? 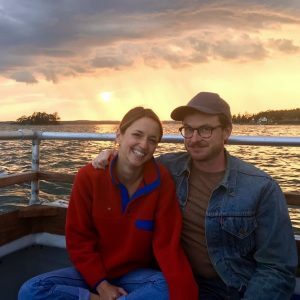 Step aboard the Pamela B for a cruise to Broad Sound in Casco Bay to glimpse the fireworks from Freeport, Yarmouth Harpswell and Brunswick, Maine. Enjoy this magical evening with the best seats in the house! Come join us as we make our way through the forest of colorful buoys and working lobster boats towards arctic explorer Admiral Peary’s, unique hideaway on Eagle Island. This cruise is open to all levels of photography from beginner to advanced – learn some key camera settings to help you take better photos. There is nothing more uniquely Maine than a day at the Harpswell Lobster Boat Races! 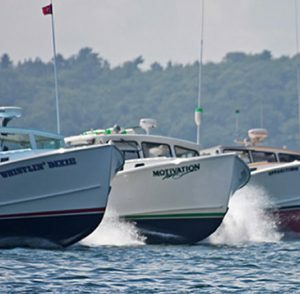 For nearly 30 years, the Harpswell Lobster Boat Races have attracted fishermen, boat builders, and race fans alike due to the venue’s extreme beauty and fun, family atmosphere. To learn more, visit the Harpswell Lobster Boat Races on Facebook at facebook.com/harpswellboatraces. Due to limited parking at the town wharf (our launch site), it is recommended that customers meet the tour staff in downtown Freeport, 1⁄2 hour prior to trip departure, and be shuttled by our complimentary passenger van to the harbor. The meeting location is at the designated bus pick-up area in front of Coffee By Design on the corner of Main Street and Bow Street. Paid parking is also available, on a limited basis, at Brewer South Freeport Marine. Contact Brewer Marine at (207) 865-3181 for more information.